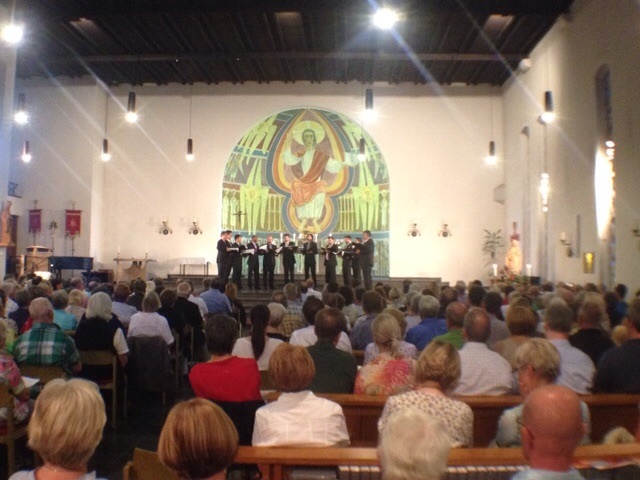 After a lovely drive from Kassel where we overnighted through the Vogel forest to what the presenter described as 'in the middle of nowhere' in the middle of Germany, we performed our last Gypsy for a sold out audience which demanded ( and got ) three encores, and most of whom had never seen us before. Gypsy had her premiere in Brittany last August, so probably appropriate that we put her to back to bed in Europe. It's been a short and sweet tour - all the way by bus, no airports, and some lovely places and always receptive audiences. And every kind of weather from scorching hot to cool and rainy and here in Nidda, a perfect warm summer evening.